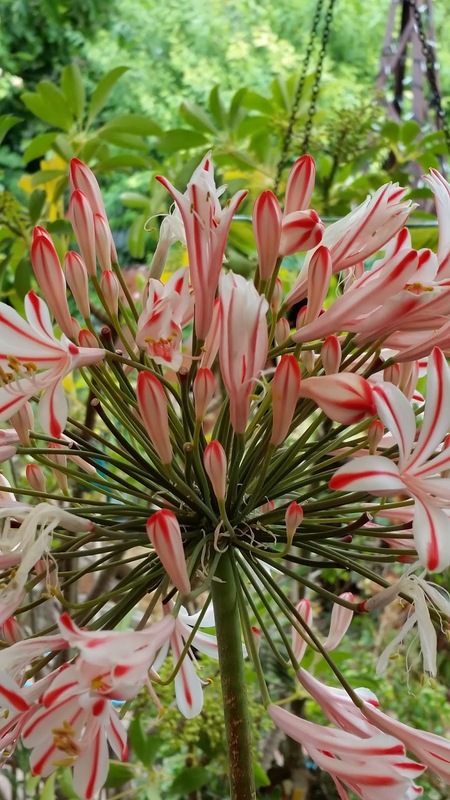 For years I have been secretly breeding Agapanthus. Standard colours are normally blue and white and a mild pink; with a few other variations. This year I was over-joyed with my bright pink candy striped creation. Those hours spent late at night under a full moon with a fine horse hair brush cross-pollinating and doing the under the leaf tickle, yielded a truly wonderful flower. 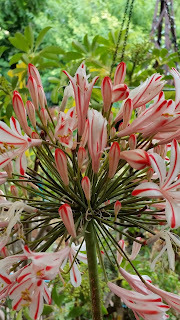 I have called it Candy Striped Pink Agapanthus (aka. Aga-BS-729). Sorry I don't have any seeds for sale. Thanks Bob, would really love that. Also what do you mean by "under leaf tickle"? I too have pollinted/hybridised and created some lovely plants and not come across this term before? Hi Bob. Have these become available for sale? No. I'm just not ready. No seeds available.